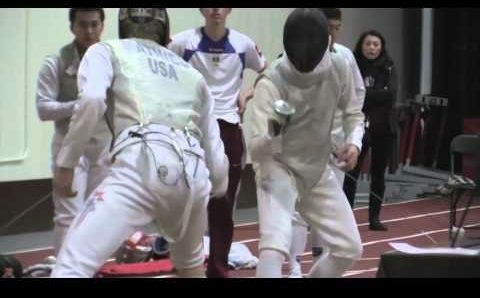 Fencing on a collegiate team, whether it be a Division I NCAA team or an intramural club fencing program, can be a very rewarding experience. 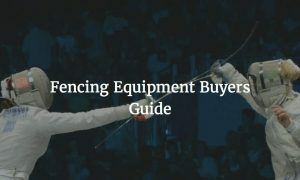 If you plan on fencing in college, it’s best to do your research on the various programs available to you at the schools where your academic interests take you. 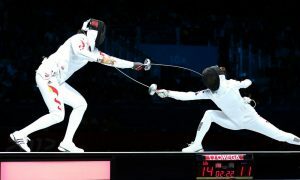 Most top tier colleges have fencing available – either as an NCAA or collegiate club program, so you don’t have to give anything up on the academic side to find fencing in college. In a recent image posted on Facebook and other social media outlets, the graphic boasted the percentage of fencers moving on to participating in an NCAA collegiate fencing team was 32.3%. This was in comparison to basketball at 5.9% and football at 7.8%. The post was seen 2,948 times and shared by over 40 people. That’s viral in the fencing world. It’s also sparked some interest by students and parents about the possibilities and processes about fencing in college. 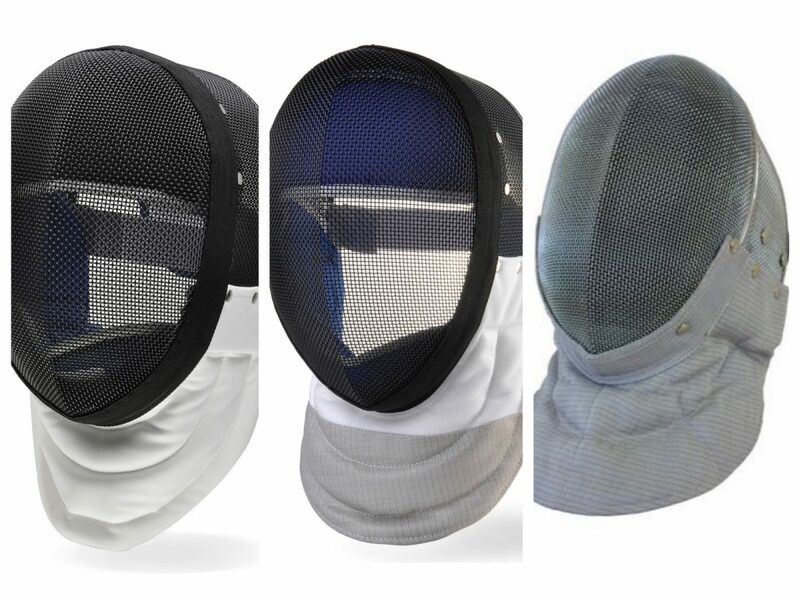 There are over 300 high school seniors currently registered as competitive members of US Fencing as of January 2014. It’s safe to assume that those fencers are competitive and looking to possibly fence in college. 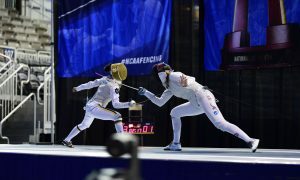 According to scholarshipstats.com, the chances of a high school athlete competing in an NCAA collegiate fencing team is broken down into women and men. The following statistics are from the 2011-2012 school year. This lists the total high school age fencers and total number of fencers in an NCAA program. Note that these give a higher percentage chance of making it than is realistic as the number of high school fencers is not fully represented in the ScholarshipStats data. 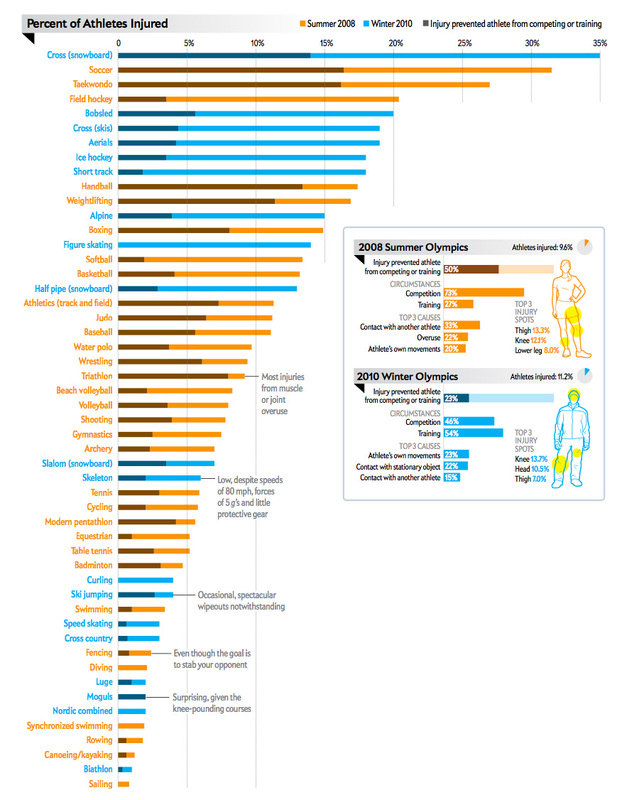 -MEN: 1,925 high school fencers; 622 NCAA collegiate fencers…32.3% chance of competing in college. -WOMEN: 1,771 high school fencers; 674 NCAA collegiate fencers…38.1% chance of competing in college. Those are pretty good chances when you compare that percentage to other “mainstream” sports like soccer, football and basketball. All of which, for both men and women, have a percentage in the single digits to play for an NCAA college team. Fencing tops both the men and women in percentage of playing in college by a pretty wide margin. The full size infographic is available here. 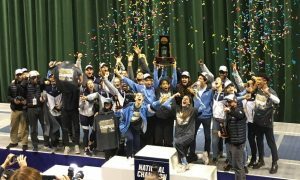 With those statistics in mind, we spoke with a Division I NCAA fencing coach to give us some background about how to prepare, shop, apply and attend a college as a fencer. 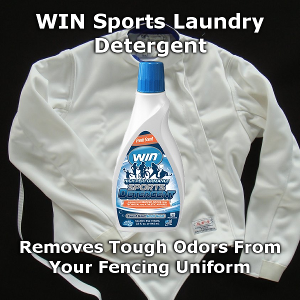 Our fencing coach noted 6 things you need to have on your to do list. As a high school fencer, you need to also track and gather your results and ratings. Maintain copies of your results from local and national tournaments. 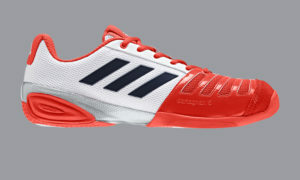 These are often available at either the US Fencing website or on AskFReD.net, but don’t always count on it. It’s helpful to write down your results during the tournament, not just to assist your training, but as a hard copy of results for perspective colleges. Some coaches also request videos; you should have some videos available, either of your bouts or lessons. 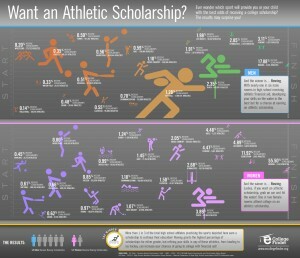 The high school fencer must also visit ncaa.org and register with the NCAA eligibility center. 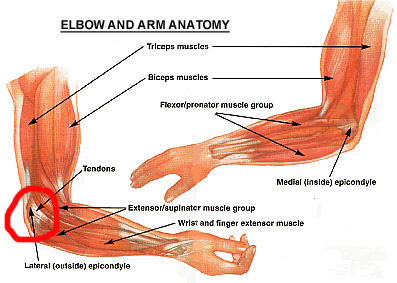 This will be one of the athlete’s greatest tools. A fencer and/or his parents will also be able to download the College Bound Athlete’s handbook on this website. Become very familiar with this book because all NCAA coaches will adhere strictly to its guidelines. Speaking of coaches, you should also reach out to the coach by e-mail and phone. Officially, the coach cannot contact you until your junior year in high school; if you e-mail prior to that year, don’t expect a response…from anyone (coaches, assistant coaches, etc.). They can speak with you if you call and they happen to pick up the phone. If you don’t immediately hear back from the coach or assistant coach when you reach out during your junior year, trust me, they are busy. You’ll also want to plan a college visit; this is part of the “shopping for college” part. Remember, you’re in college to further your education, so you’ll not be a 24 hour fencer – you’ve got to study too. You want to make sure the college also “fits” you academically, socially and even emotionally. Strongly consider academic programs, social life, dorms, and other things the school has to offer. Distance from home may be another determining factor when attending a school, as well as costs. 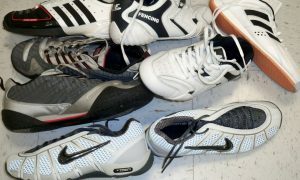 Your potential teammates are another aspect high school fencers consider when selecting the school. Is there a specific coach you want to work with? Are there current team members you want to train with? As a high school athlete, you’ll want to make a list of what you’re looking for in your college career in addition to the fencing program prior to your visit. Unofficial: The student/family pays for the whole trip. Travel, food, expenses…it’s all on your dime. Again, this trip is to see if the school and all its components, including the fencing program, fit your goals and personality. Official: The University pays for everything. Be prepared with your transcripts, test scores, travel itinerary, NCAA eligibility, etc. This visit is usually when the coach is going to make the hard sell to you. It’s when they are saying “we’re committed to you”. However, more coaches now are only utilizing the official visit when you’ve already been accepted into the college. Contact the school’s athletic compliance staff and ask about the recruiting process if you have any questions about what you can and cannot do during your visits. All coaches will know and follow all NCAA guidelines. It was difficult to determine how many fencers with USA Fencing national points actually continued to college. Needless to say, your chances of entering a top NCAA collegiate fencing program like Columbia, Penn State, Princeton, Notre Dame, Harvard, Stanford, St. John’s or UPenn are pretty decent if you have points and the high school academic fortitude to be accepted into the college. In non- revenue producing sports such as fencing, the amount of scholarship money available is considerably less. 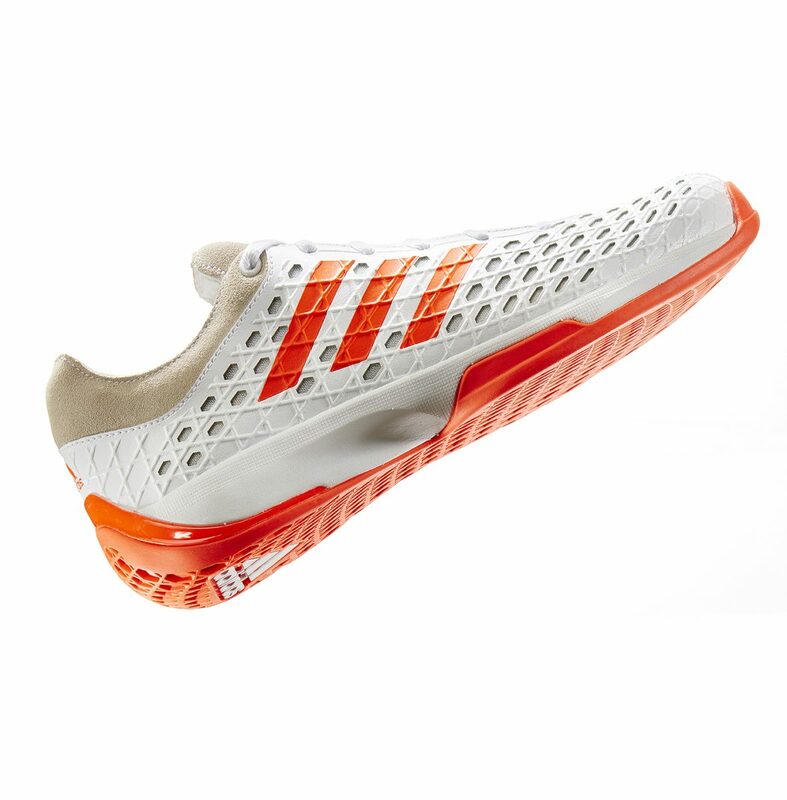 There are several discussions online about fencing scholarships. In short, don’t count on it unless you’re on a national team, stateside or other. “Unless you’re in the top 20 on the points list, don’t count on a scholarship,” notes our fencing coach. If you’ve got the athletic chutzpah, but are a little short on your academics, don’t discount yourself out of your desired collegiate program yet, this where you’ll need to communicate to the coach. If you have what the coach wants and needs, coaches have some pull with admission assistance, especially if you also run into out of state admission caps. However, let’s assume that you’re an average fencer, perhaps have a C rating, often fencing in Div II and Div III competitions and is interested in fencing for an NCAA team. 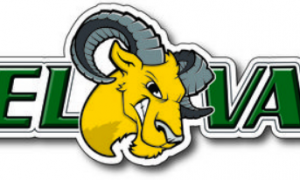 There are still a lot of programs offering NCAA fencing – 42 NCAA collegiate fencing programs to be exact. Some with teams with fairly large rosters; New York University, for example, has 31 men and 25 woman fencers. Don’t discount participating on a DIV II and DIV III collegiate program; they are very active in the college fencing circuits. Several other teams have walk-on programs. Brown and the University of North Carolina at Chapel Hill both have walk-on programs. 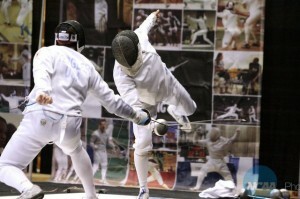 Applying for a college with potential fencing walk-on programs may also increase your chances of getting on the team. Even if you don’t get into an NCAA program there are many universities that have active club programs. As you begin to shop for college and look into becoming a student athlete, you have to make a list of priorities. Keep in mind that many fencers are looking, if not as much as, but more of what the university can provide academically than athletically. Students are recommended to start on the 6 steps for preparing to be a college athlete, especially registering with the NCAA eligibility center and downloading the athletes handbook. Best of luck with your college and fencing endeavors!